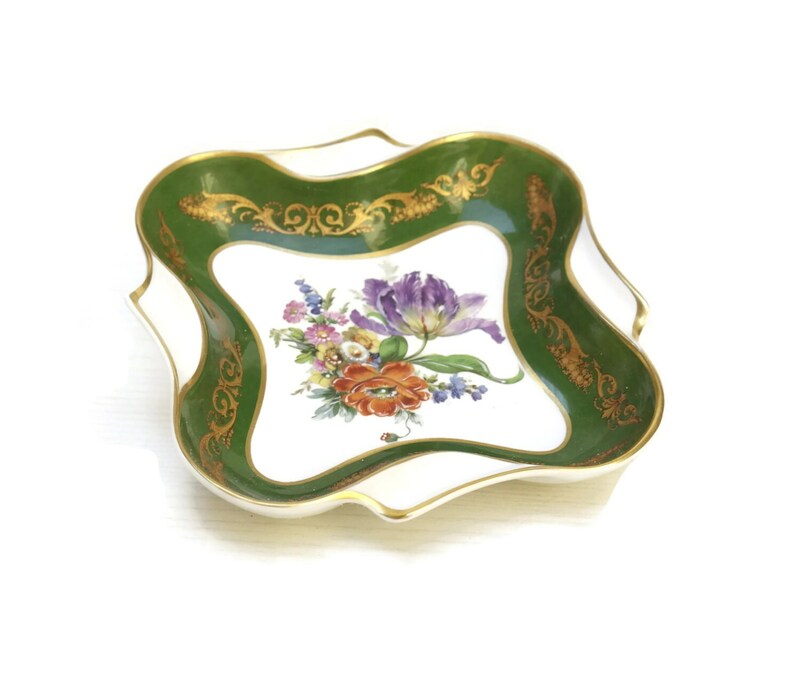 A vintage mid-century Limoges porcelain dish. 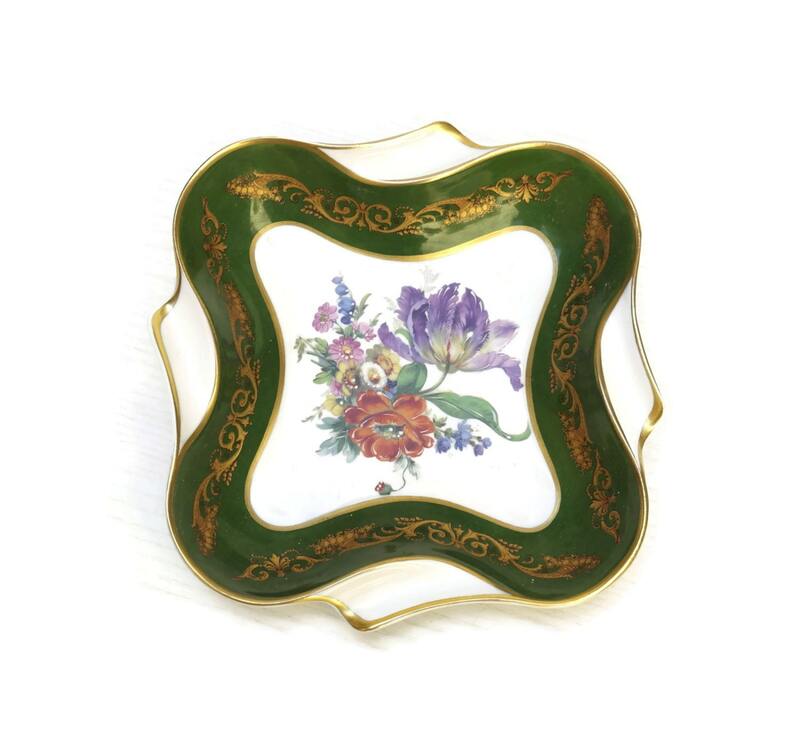 The piece features a floral transferware design with hand-painted highlights. 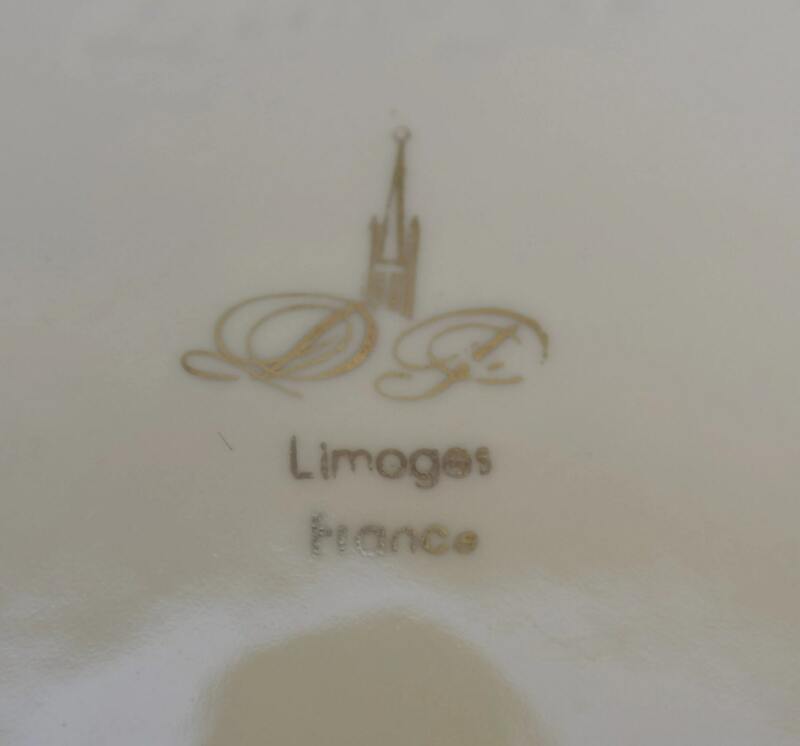 The green and white porcelain dish has been stamped on the base with the maker's mark. 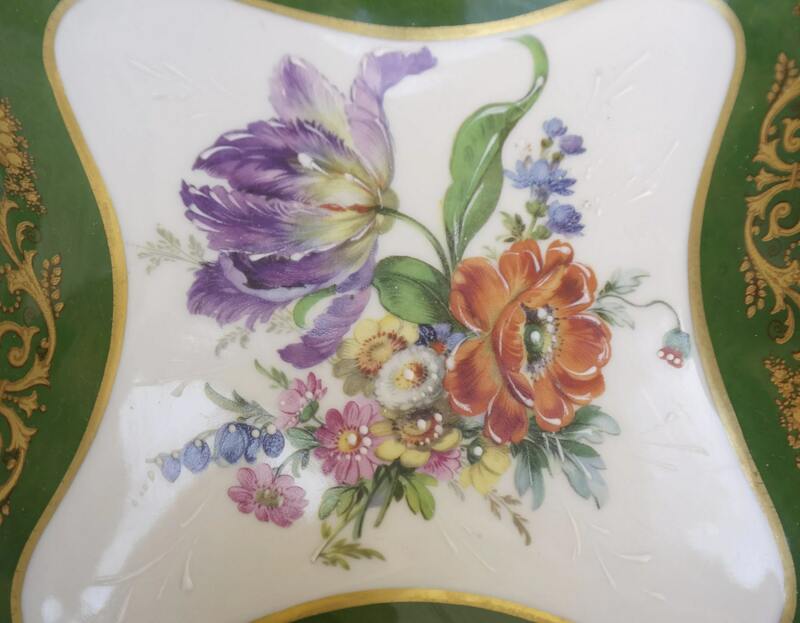 The dish is in excellent condition with no chips or cracks. 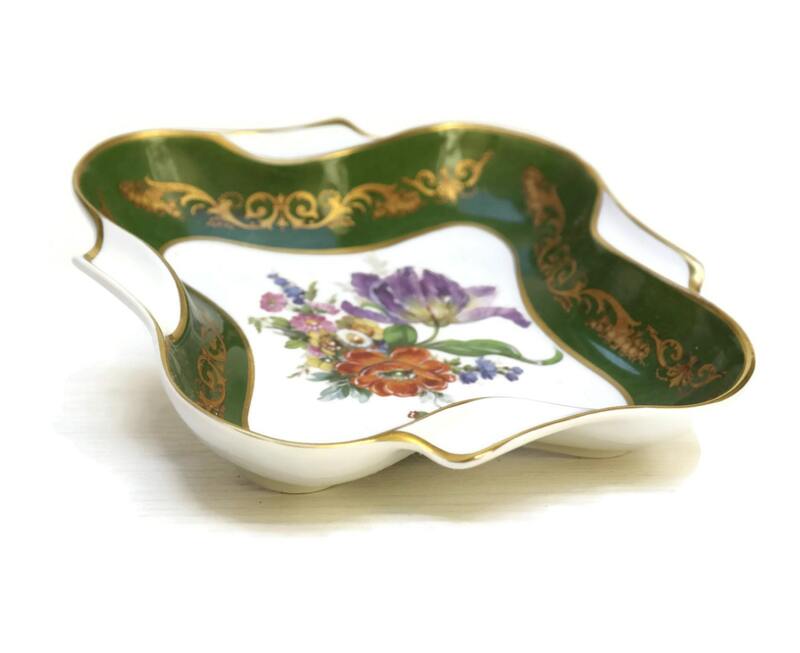 Please refer to the images for a more detailed visual description.